7.00/--15LT N/A 2,040 lbs 60 psi 19/32nds N/A 8" N/A 30"
Purchase includes the Sigma Power King Premium Traction tire only. The wheel rim shown in the picture is not included. Picture provided is a stock picture from the manufacturer and may or may not reflect the actual product being ordered. All Sigma Power King Premium Traction tires are continuously developing with manufactured improvements. With that said, Simple Tire and the manufacturers have the right to change these tire specifications at any time without notice or obligation. Please Note: Specifications of the Sigma Power King Premium Traction tires shown above are listed to be as accurate as possible based on the information provided to us by Sigma tires. This is the second set of 2 I purchased for my 79 f250, these work great on a vintage truck just did a 1500 mile trip in them mostly back roads. They are hard to get balanced but work excellent offroading on vintage 4WD's. 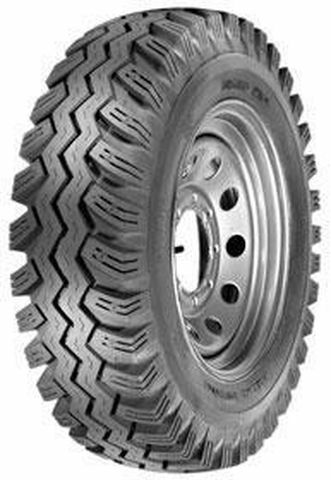 I love these tires primarily for there utilitarian looks and off-road traction used daily on my old 79 F250 4x4, these are bias ply tires and probably not ment for these newer big rigs with the fancy rims but for my needs they fill the bill perfectly. I originally purchased 2 at 175 a piece with free shipping, customer service was spot on as I wrote something about cost when I cashed out and CS immediately contacted me by email. I recently checked the web page and was bummed to see the price went up to 225 a piece I was ready to pull the trigger on 2 more. When I bartered for this truck it had the same type of tires on them however the truck had set for many years and they had a flat spot on them as well as sidewall degradation(dry rot). I purchased from simple tire to replace these (best price and really the only place I could find them) they are 1 inch taller then the same Power Kings 900-16s that where on the truck. I'm saving up to buy another pair hoping the price drops. Good for work rigs and the traction in florida sand and mud is top notch. I did have some trouble balancing them and to this day have a bucking between 40-46mph but I don't think its from the tires, I rebuilt all my front end components including brakes tie rod ends and bearings. It could still be cause by the flattened rear tires but it feels like the one speed bucking is originating from front end. I can live with it.